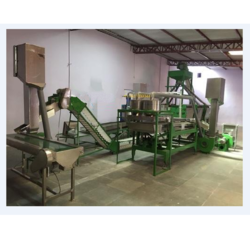 We are a leading Manufacturer of automatic cashew cutting machine, automatic cashew nut cutter, cashew nut processing plant, automatic cashew nut processing plant, automatic cashew processing machine and automatic cashew nuts making machine from Pune, India. We are offering Automatic Cashew Cutting Machine to our clients. It is manufactured using high-grade input factors as per the preset industry norms. Capacity Ranges from 80 kg / Hr to 180 Kg / Hr with 2-10 Cutting Lines arranged Horizontally in single Cutting Machine. We are one of the leading manufacturer and supplier of Cashew Nut Processing Plant.We obligated to meet the quality standards as per the customer demand.Automatically SHELLS, saperates and scoops shelled raw cashew into shells, kernels, scooped, un-scooped and uncut. We are offering Automatic Cashew Nut Processing Plant to our clients. It is manufactured using top quality materials and latest technology and tested under various quality parameters. 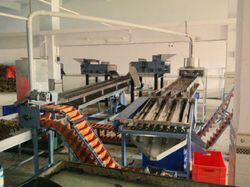 We are offering Automatic Cashew Processing Machine to our clients. It is manufactured using high-grade input factors as per the preset industry norms. We are the leading supplier of the Automatic Cashew cutting and saperating system Machine. 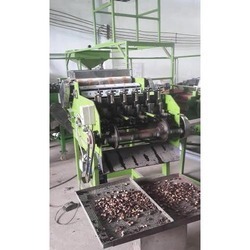 We are offering SS Cashew Nut Making Machine to our clients. It is manufactured using quality raw materials and latest technology. Furthermore, these products are checked on various quality parameters to ensure its defect-free nature. 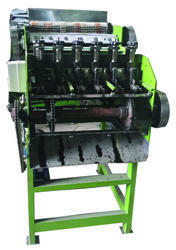 We are offering Automatic Cashew Shelling Machine to our clients. It is manufactured using high-grade input factors as per the preset industry norms. 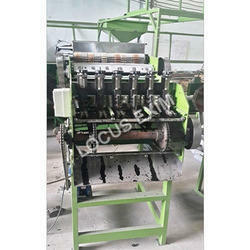 We are offering Cashew Processing Machine Unit to our clients. It is manufactured using quality raw materials and latest technology. Furthermore, these products are checked on various quality parameters to ensure its defect-free nature.